These presentation slides 39204 are complete compatible with Google Slides. Simple download PPTX and open the template in Google Slides. This modern Triangles and Squares Shapes template made in a laconic style will be adored by everybody due to its creativity and nice colors. 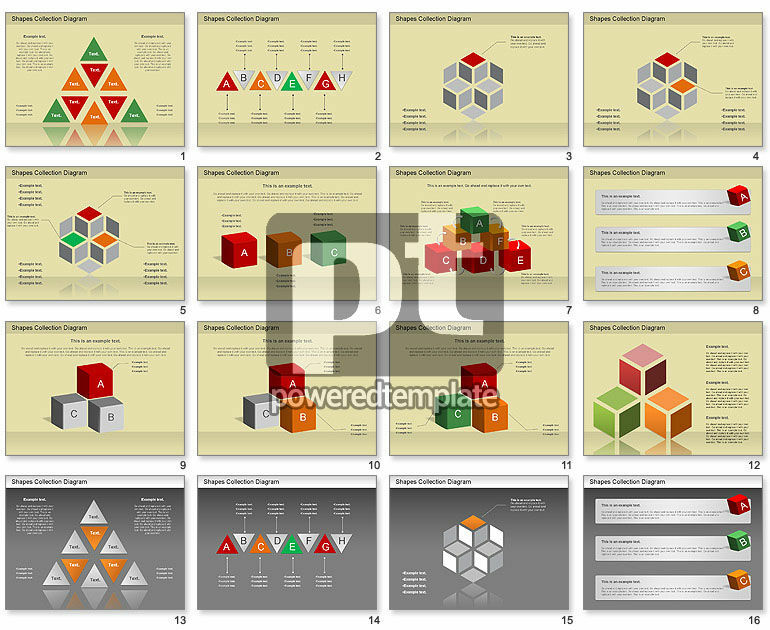 It shows various figures: triangles, cubes, hexagons and areas for your text proposed in two color solutions. This cool template fits various topics because of its versatility, so feel free to use it in business, education, media, network and so forth.